Les Paul, SG, 335 & Explorer, more to say? Inventor of the great “Plek-Machine”, fret-dressing without compromise! Young classical guitars as its best! Building your dream guitar in a three week holiday! Unique guitars made from Arium! The high quality travel-guitar with a build in preamp! Harry, the German pickup guru! Celebrating Mark Knopfler and his legacy –Finest Guitar Parts! 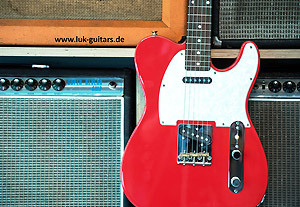 Guitars beyond comparison, made from Acryl in Berlin!